After an aggressive viral marketing campaign over the past few days, in which we saw everything from billboards with Kryptonian writing to a warning message from General Zod, we finally have the newest trailer for Man of Steel, and suffice it to say, it looks amazing. 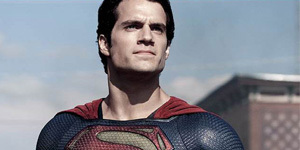 We finally get a good look at General Zod and see both him and Superman in action. It’s also nice to finally see Russell Crowe’s Jor-El, and I think his interpretation will rival, if not surpass, that of Marlon Brando’s. This is a Superman for a new generation, and it’s great to see him finally getting his day on the big screen after the debacle that was Superman Returns in 2006. Check out the trailer below. Did Batman Kill In ‘Batman Returns’?